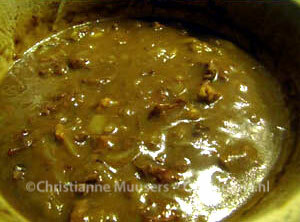 Hachee (pronunciation ɦɑʃeː or hashay) is a traditional Dutch winter dish with beef. It has an almost medieval flavour, because of the use of vinegar and peperkoek (something like gingerbread but not quite the same). Hachee can be served as a separate dish, but I have chosen to prepare an oven dish, with red cabbage and apple on the bottom and mashed potatoes on top. The three components can also be served separately, combined with other dishes. The recipe for red cabbage is here. Casserole for 4 to 6 persons; preparation in advance hachee10 minutes; preparation hachee60 to 120 minutes. preparation oven dish in advance 10 minutes; preparation oven dish 30 to 40 minutes. Hachee – Cut the beef in large or smaller cubes, sprinkle with pepper and flour and mix. Slice the halved onions in thin strips. 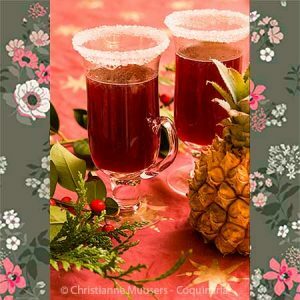 Red cabbage – Prepare the cabbage as you are used to doing, or according to this recipe from the nineteenth century. Mashed potatoes – Peel the potatoes, cut in equally sized chunks and put them immediately in water against discolouring. Hachee and red cabbage can be prepared well in advance, even the day before. You can also prepare the complete oven dish a day in advance. Hachee – Fry the onions in 1 tablespoon butter until they start to brown, and then take them out of the pan. Add the remaining tablespoon butter and sear the meat at high heat. Than add the other ingredients, bring to a boil while you keep stirring. Then cover the pan with a lid, and simmer the stew at least one hour on the lowest heat possible. I have used a paraffin stove and left the stew on for three hours. Mashed potatoes – Boil the potatoes in so much water that they are just covered, with a stock cube or some salt. Depending on how large the potato chunks are, they will be done in 15 to 20 minutes. Just prick a fork in them to check, if you feel no resistance, the potatoes are done. Pour the remaining cooking liquid in a container. Mash the potatoes, stir in a tablespoon butter. Add the hot cooking liquid or boiled milk, as much as is needed to get a smooth, creamy puree. Finish it with pepper and nutmeg, and salt if you used milk. For a more glamorous version add an egg, or a yolk or beaten egg white. Prepare the potatoes just before assembling the oven dish, because when the puree has cooled, it is more difficult to handle. Red cabbage – See the recipe. For this version I have chosen to present hachee as an oven dish, but it can be served also as a main dish with potatoes and vegetables as separate side dishes. Choose a large oven dish, and begin with a layer of red cabbage with apples. Scoop the hachee over it. Then cover with the potato puree. You’ll have to do this carefully, because if you just put all the puree in at once and then want to spread it out, you’ll just move the hachee to the side. So divide smaller spoonfuls of the puree over the hachee, and so make a closed layer. You can smooth out the top with a wet knife. Sprinkle the bread crumbs over it, and some slivers of butter. Bake in the middle of the oven until the top has turned a golden brown, but at least 30 minutes. Cover with aluminium foil if the top threatens to burn. When reheating the dish, use a lower heat in the oven. Alternative version – Instead of preparing one large oven dish, you can also prepare smaller, individual dishes. Everyone gets his or her own dish. Freezing – If you want to freeze this dish, do this after composing it but before baking and without the topping of bread crumbs and butter. When you want to serve it, be sure to defrost it 24 hours in advance in the refrigerator. Add the topping just before baking. Place the steaming oven dish in the centre of the table (don’t forget to use a table-mat), and scoop from top to bottom when dishing out. Warn your guests that the food is really hot! To reheat, simply use the oven or the microwave. Because the recipe for red cabbage is from Betje, de goedkoope keukenmeid (Betje, the cheap cook) from 1851, here is also her recipe for hachee (facsimile edition p.21/22): Take cooked, cold beef, cut in cubes, and let this simmer three hours with chopped onions, a spoonful of brown sugar, pepper, powdered cloves, salt, some potato starch and vinegar or red wine. That’s all! One of the most expensive spices, except for saffron and vanilla. This perennial, Elettaria cardamomum, is of the same family as ginger. However, it is not the rhizome that is used, but the dried pod. 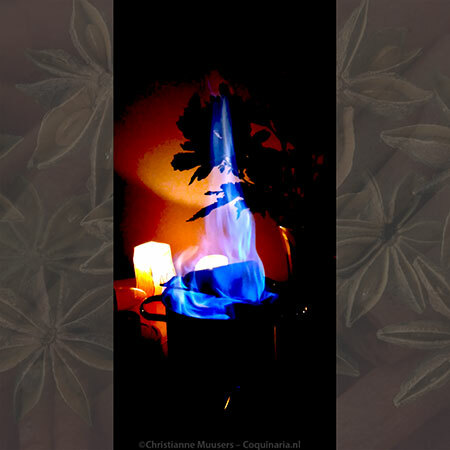 Cardamom is indigenous to the South of India and Sri Lanka. The dried pots are light green in colour. The seeds within are small, and black. You can use the whole pod as well as just the seeds (whole or ground). The pods are not eaten; remove them from your dish before serving. You can buy ground cardamom, but it is better to use whole, opened pods, or the seeds, because powdered cardamom deteriorates quickly. There are also black cardamom pods. These are less refined in taste, but are cheaper to buy. Literally ‘pepper cake’. Other Dutch names are kruidkoek (spice cake) and ontbijtkoek (breakfast cake). In Dutch bakeries and supermarkets it can be bought in all kinds of varieties. You might use gingerbread instead. 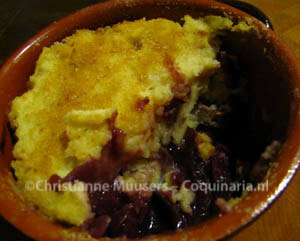 But in a few days I will publish a recipe to make your own Dutch peperkoek. The main ingredients are rye meal, sugar and honey, and spices. More fancy versions contain raisins, nuts and/or other ingredients. When I first prepared the dish for this page, the village butcher was closed, and I bought a package of hachee vlees (meat for hachee) at the supermarket. Although the sauce tasted good, the meat did not. It was tough. So a week later I prepared it again, this time with meat bought at my butcher’s. And now it was perfect. Mind you, everything was the same, the recipe, the pan, the heat source, the other ingredients, except for the meat. So where you buy meat can make a big difference in how a dish will please the palate. Betje de Goedkope Keukenmeid. Verzameling van beproefde voorschriften om lekker te koken en te braden, te stoven en te bakken, in te leggen, enz. enz. ; Benevens enige door ondervinding voor goed erkende huismiddelen. (‘Betje the economical cook’) Second edition, (1851? ), Voorburg, A.M. Broedelet. Betje de goedkope keukenmeid, (‘Betje the economical cook’), G.B. van Goor Zonen, 1850 (1st edition). Facsimilé edition from the 6th edition from 1877 Van Goor Zonen, Den Haag, 1975. A traditional winter dish from the Netherlands with beef, onions, Dutch ginger bread and mashed potatoes, that can be prepared completely in advance.